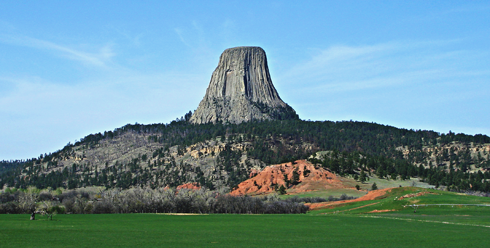 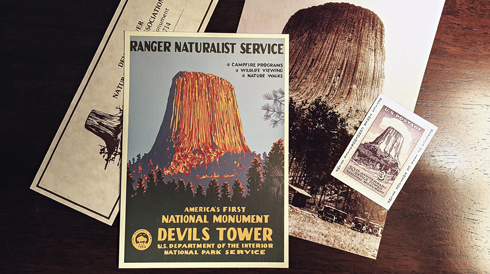 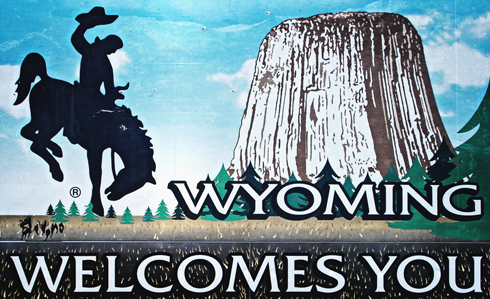 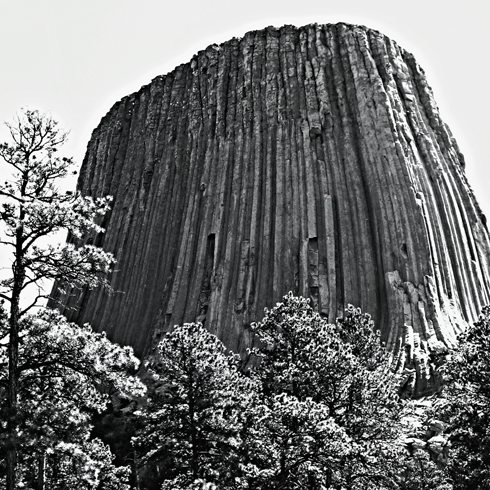 A geological wonder and the backdrop for Spielberg's 1977 science fiction classic, Close Encounters of the Third Kind, Devil's Tower is an unmistakable landmark in eastern Wyoming. 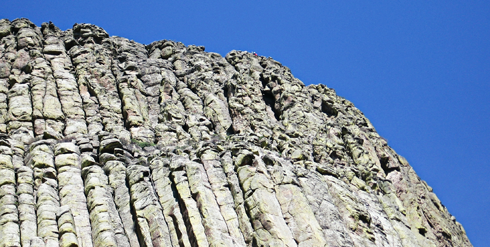 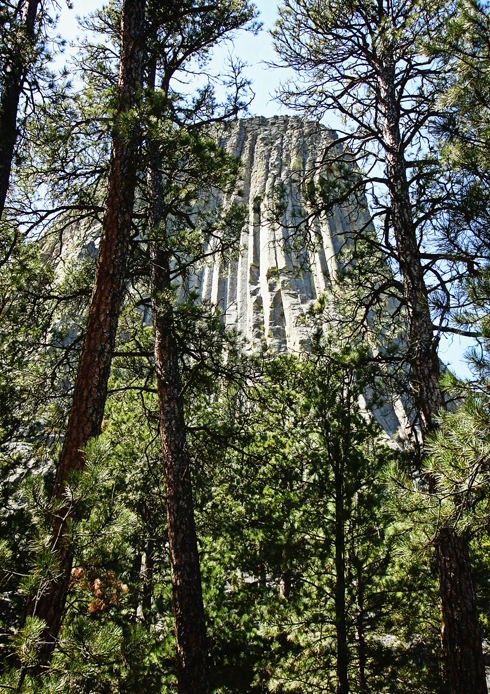 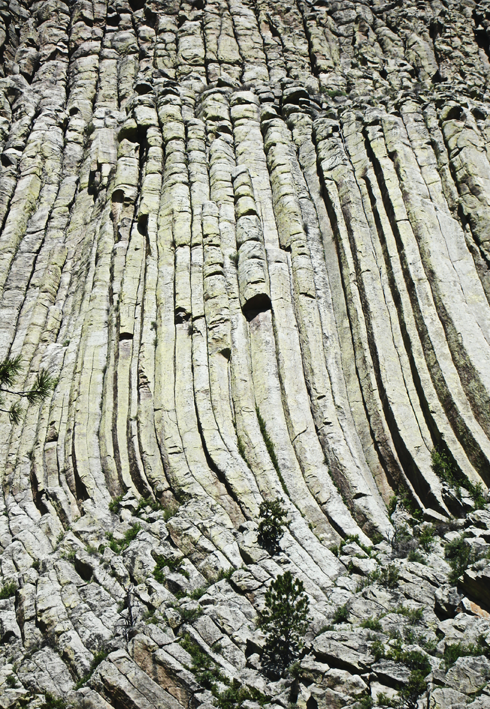 Flat on top and vertically lined, Devil's Tower is also referred to as "Bear Lodge", and Native American artwork depicts a giant bear clawing the sides of it to create its distinct facade. 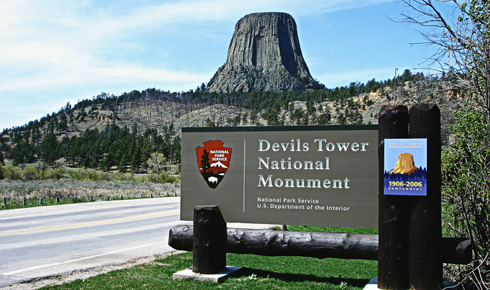 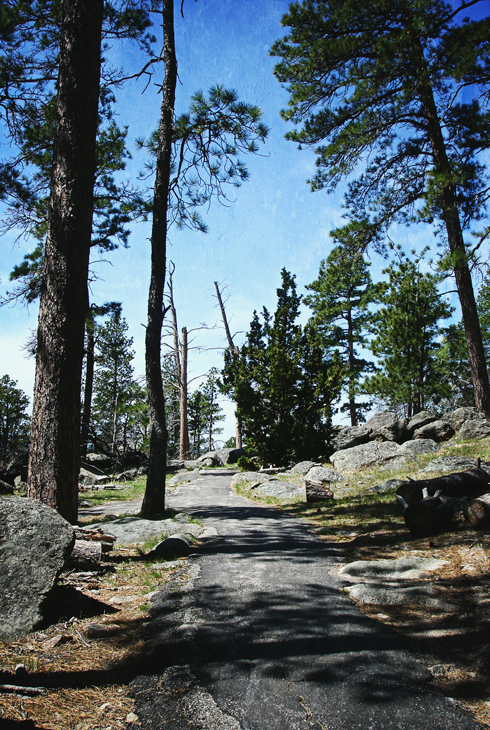 On our 2007 road trip to Mount Rushmore, my friend Andrea and I visited Devil's Tower to hike the trails surrounding it. 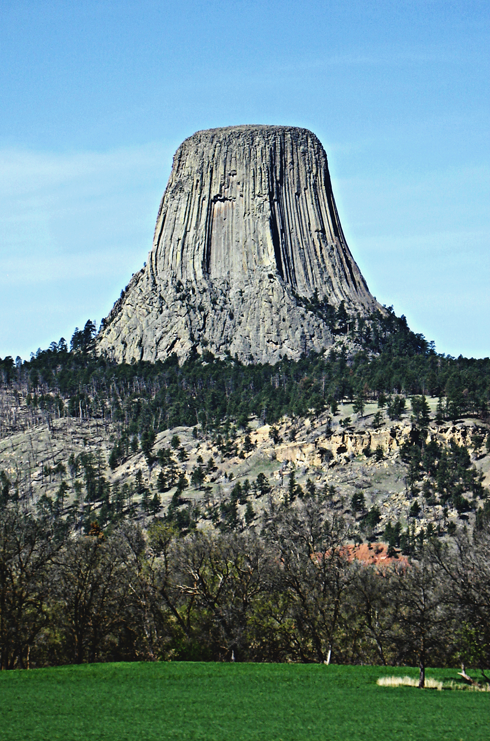 Rising over 1,200 feet from the Belle Fourche River below, the formation is quite imposing and really cool to see up close. 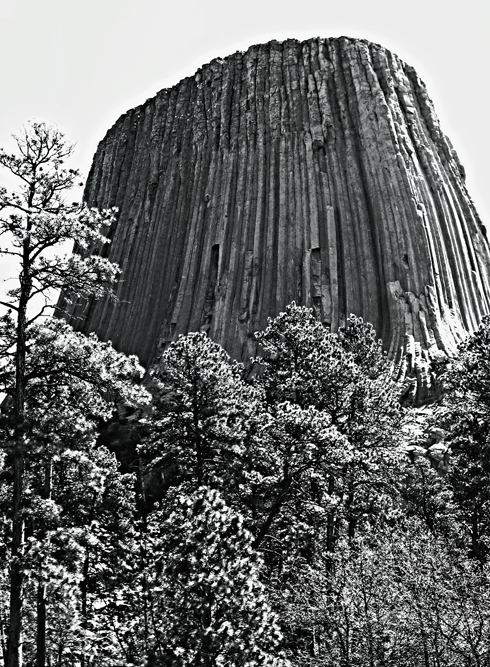 Believed to be an igneous intrusion or perhaps a volcanic plug, the main consensus is that it's clearly a meeting point for aliens. 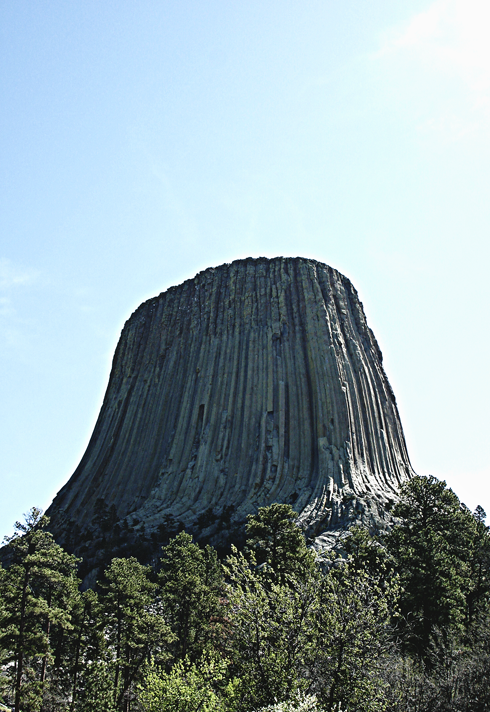 Or at least that was the impression we got from a nearby gift shop. 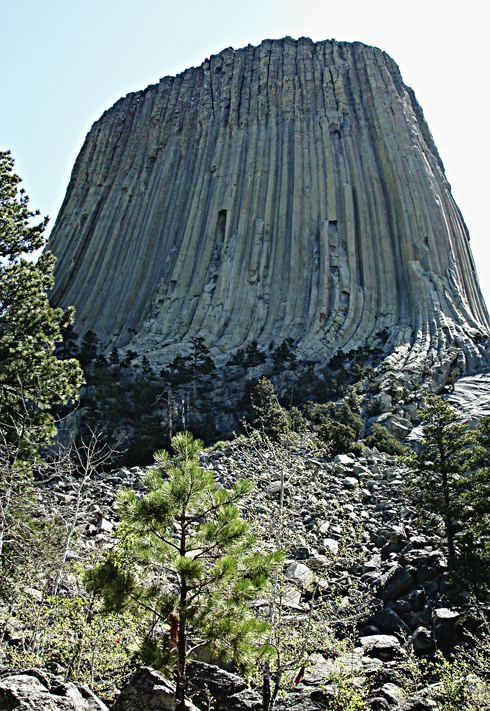 Devil's Tower in Close Encounters of the Third Kind.